If there's any way to step back on the scene, it's like that. 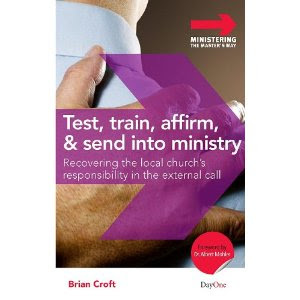 About a week ago I had the opportunity to finish Test, Train, Affirm and Send Into Ministry: Recovering the Local Church's Responsibility in the External Call by Brian Croft. Brian is a local pastor here in Louisville at Auburndale Baptist Church. I have the privilege of knowing Brian, namely through good friends who attend ABC as well as my own occasional visits to their Sunday night services (where much of the content for this book is worked out). I have witnessed this book lived out in person through Brian's leadership, and can testify that he is thoroughly committed to testing, training, and affirming future pastors for ministry. You can see some evidence of that here. He also has a helpful blog dealing with practical church issues that you can scope here. It's true that every day pastors and leaders destroy their lives, families, and churches because they've taken on a teaching position that requires an inward godliness that they do not posses. But, who's to stand in the way of a man who feels "called to ministry?" Shouldn't there be a visible and objective way to verify--even reject-- that someone's invisible and subjective desire for church leadership is truly God-given? "The problem . . . is that none of these options has been been biblically commissioned by God to take the full and ultimate responsibility for testing, training, affirming, and sending those who are called to be pastors and missionaries. . . . It is the local church that God has appointed to be the agent to test, train, affirm and send those who are called." (33). Though, as Brian argues, an "internal call" is God-given and indispensable aspect of one's call to ministry, many feel no need to go beyond this subjective assurance and allow a local church to issue an "external call" to ministry. Mix that in with how our culture applauds individual autonomy, and it follows that anyone--even a church--who stands in the way of one's ministry dreams may be guilty of failing to comply with the will of God. Yet, according to Croft, the local church is given the primary task of affirming the internal call of future shepherds. Failure to comply--whether on the individual or church level--puts not only the individual's future ministry at risk, but also the reputation of Christ's church as a whole. Think you're called to ministry? Brian's book has the potential to help you take the proper steps in the right direction. However, the right steps may involve stepping away from leadership if the church does not affirm that you are called. The latter prevents you from standing before Christ and explaining to Him why you destroyed your life because you were too prideful to let His people test, train, affirm, and send you into ministry. Last week I was able to knock out The Shadow. I bought this book shortly after its release for two reasons. First, I know Ryan Dalgliesh. He and I shared the same town (San Angelo, TX) back when I was in college. We've had many edifying conversations about the Bible, and back when I was in quasi-pastoral ministry, I asked Ryan to preach in my stead while I was away. Overall, I can remember some of the discussions, sermons, and Bible-studies that would eventually become this book. Needless to say, I was eager to read it, knowing it would be helpful as well as warmly familiar. Second, since I've been at seminary, the one thing I find most theologically mouth-watering is Biblical Theology (BT) and learning to preach Jesus from the Old Testament. BT sounds redundant, but it's a technical term that refers to a specific way to study the Bible, namely, by examining redemptive-history as is unfolds from Genesis to Revelation. Over thousands of years, through a multitude of authors, and in the midst of much diversity, the Bible keeps a staggering coherence that seeks to make one simple point: Jesus. The entire Old Testament points to Him in various and sometimes unexpected ways. The more folks become skilled at seeing Jesus in the Bible, particularly in the Old Testament, the more gospel-centered and edifying our Bible reading (and consequently, our preaching) will be. So, to know that another book is coming out that helps people see Jesus in the Old Testament is a good thing. 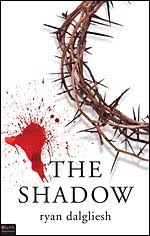 The Bible is about Jesus, and The Shadow is about that. Let me make a few short comments about this book and then turn to hermeneutical issues regarding "seeing" and preaching Jesus in the OT. First, Ryan is a gifted preacher and writer. Nothing keeps me turning pages better than a well told story; nothing keeps me turning pages better than a great explanation of the Bible. When the two of those make a baby, watch out! Ryan tells and preserves the Bible's stories in a colorful, bed-time story fashion (in a good way!). My imagination was running wild as I imagined the myriad of animals marching towards Noah's ark, or the terror Daniel must have felt in the Lion's den. (I remember Ryan once saying he loved reading Peter Pan and other children's classics. I can tell.) He has done the hard work of imagining what scenes in the Bible would have looked like, felt like, even smelled like. He puts himself in the shoes of the Biblical characters, and has turned Old Testament stories into living, breathing, high-def pictures of God's saving acts. Not something that can be done my many. Second, Ryan has the ability connect the Old and New Testament in a helpful way. People talk about how advances in telecommunication and transportation have "shrunk the globe." I could be in China, or at least Skype someone in China, with the click of a mouse. With access to such technology, the world indeed seems smaller than it used to. The same thing happens when gifted teachers know the Bible well. The Bible "shrinks" when someone can take an Old Testament text and show how it is linked to the New Testament in a way that is clear and understandable. Ryan has always been able to do this, and he comes through again in his second book. Finally, Dalgliesh preserves the Bible's message of the cross, namely, penal substitionary atonement. He is faithful in discussions of sin, blood sacrifice, or the substitionary nature of salvation. The end of each chapter includes a call for repentance, and faith alone in Christ alone for salvation. I can only imagine how powerful it would be to hear these chapters preached! Ryan has a high view of God, the Bible, sin, and the gospel, and if one walks away with an deeper understanding of these things, then one can be sure he's read a good book. Now, here's the thing. Not everyone agrees on the way in which Jesus shows up in the Old Testament. Too often, people see things that are merely similar or analogous to Jesus' work (take for instance, the story of Rahab and the scarlet cord from Josh. 2:17-19), and mistakenly "see" Jesus where he was never intended to be seen. In effect, one can overread the Bible due to such sensitivities. At this point, the distinction needs to be made between seeing and preaching Jesus from an OT text and seeing and preaching Jesus in an OT text--the latter being harder but more grounded in the text itself. To be sure, Jesus does say that all of Scripture points to Him (Luke 24:44), but a text that reminds you of Jesus in the OT is different from an OT text that is explicitly pointed to (by the NT writers) as a "type" of the person and work of Jesus. Consequently, this will affect how one reads and understands the OT and the Bible's storyline overall. Similarities can be arbitrary with no organic link between them, but "types" are the historical pointers (people, events, and institutions) that are linked to another and show how God's story is progressing to Jesus. Though Ryan in no way dilutes the gospel in any portion of his book, there is a sense where at times the explicit NT links are missing. Nothing that Ryan has written is theologically lacking, but there seems to be some textual liberty taken due to mistaking similarities of the person and work of Christ for types that the NT writers acknowledge. Typology, not similarity, is the key to understanding the OT. On Christocentric Hermeneutics overall, find helpful articles, here. For an article that is similar to Dalgliesh's approach, see SBTS's Jim Hamilton's works on typology, here. One final issue pertains to Dalgliesh's chapter on Psalms 22, 23, and 24. The way David penned these pslams is portrayed as if David was merely dictating abstract words about a priori events that were foreign to his own personal experience. True, the OT writers were carried along by the Spirit (2 Pet. 1:20-21); true, there were things they wrote that at times they themselves did not fully understand (1 Pet. 1:10-12); true, some portions of Scripture are the result of God simply saying, "Write this down" (The book of Revelation); but not all the authors of Scripture, especially David, did not produce their writings in such a way. David most likely wrote Psalm 22 while he was surrounded and threatened by his enemies. His words, though highly metaphorical, correspond to actual events that happened to him personally. The same is true with Psalm 23 and 24. David penned his psalms almost as an inspired journal to his life. His pain, anguish, sorrow, joy, and praise were all real emotions linked to real events that he experienced. Though David was writing of the Anointed One to come, I'm just not sure he did so in the way that Ryan's chapter portrays. Overall, this book was a fun read. It was clear, accessable, and left me with a desire to go read my Bible. Thanks Ryan for your hard work. You make the Bible, especially the OT, come alive in ways most people can't. I hope your book is read by a lot of people and they come to know their Bibles better as a result. I recently finished N.D. Wilson's Notes from the Tilt-A-Whirl: Wide-Eyed Wonder in God's Spoken World. N.D is the son of theologian, author, and debater, Douglas Wilson. Yeah, it's that good. But, it's hard to explain why. I now understand why people couldn't give me a straight answer on why they liked it so much. It's hard. But let me try. Do you like the casual profundity of C.S. Lewis? Do you like pithiness of G.K. Chesterton? Do you like the out-of-the-box thinking of Rob Bell? The honesty of Donald Miller? Do you like poetry? Do you like philosophy and worldview discussions that address the big, hard questions about life? Do you like to laugh? Do you like books that are such page-turners that you lose track of time? Roll all that into one, and you will have Notes. Basically, this book philosophically and poetically contemplates the world we live in. Philosophically, because the meaning of life is talked about, along with other big issues like atheism, beauty, evil, and hell. Poetically, because on about every page you stop and think to yourself, 1) "What a beautiful way to think about that, and 2) "I need to be more creative." Really, Wilson has a very creative mind. But, he's not annoying in his imagery. Some authors appear to try too hard to come up with descriptive language and imagery. Wilson is a natural. His words flow off the page and blend smoothly into his point. It's kind of like when you perfectly match wine and chocolate. I guess that's why wine is nicknamed "bottled poetry." Anyway. There are a few surprises along the way that can catch you off guard. The only hint I will give you is that at times you think, "Wow, I can't believe he just said that." But, overall, this is one of my new favs that I will refer back to quite a bit. It was an easy and pleasurable read. The deeper discussions of life and meaning were not overwhelming or academic. You'll love the way he puts things. His imagery is masterful and drew out in me a desire to be more artful with my thinking and writing. "You are spoken. I am spoken. We stand on a spoken stage. The spinning kind. The round kind. The moist kind. The kind of stage with beetles and laughter and babies and dirt and snow and fresh-cut cedar. Ante-Nicene and Post Nicene Fathers, 39 Vol. Set. My Christmas present. See my thoughts here. - There is a difference between reading well and being well read. The former may or may not mean anything about what you have gained from reading. The latter usually means you've done a good job. - If you want a good, robust knowledge about a subject, please, please, please, be sure to carefully, diligently, and honestly read those you disagree with. Read primary sources, too. If you get your knowledge of opposing views from a secondary source, you deceive yourself into thinking you have studied a subject properly. You also set yourself up to look pretty ignorant in "street" conversations. Something When I read those I might disagree with, I picture myself in a coffee shop with them. I try to display the same patience and willingness to hear them out that I would if they were sitting right across the table from me. Usually, as I'm reading I develop a bond with the author and become sympathetic to what I might perceive as an error or blind spot. For me, this is the way to go. It basically amounts to a form of love. It would be clearly unloving to get up and walk out in the middle of a conversation, so why would we do this with books? Don't get me wrong, there's a point where a book might become a waste of time to finish, but for the most part it is better to train yourself to interact with ideas rather than flee from them. - Along the same lines, read people outside your box. This helps you get a better knowledge of your own weaknesses. Critique from an outside source may be really helpful and revealing. - Read fiction to expand your imagination. - Read biographies to raise your own personal standards. Eh. Nothing profound. Just an excuse to get something posted on this oft-neglected book blog. Book reviews are in the horizon. I'll try to put all these points into practice. Check out some thoughts on Greg Boyd's The Myth of a Christian Religion: Losing your Religion for the Beauty of a Revolution. It was a good read. See why here. Last week I finished Why We Love the Church: In Praise of Institutions and Organized Religion (WWLC) by Kevin Deyoung and Ted Kluck. In May of 08, I read their Why We're Not Emergent: By Two Guys Who Should Be--which I found extremely helpful. More and more books are being written on the subject of the church. While you may think this is a good thing, think again. It is becoming increasingly popular to critique the church as becoming more and more irrelevant, oppressive, restrictive, and boring. Many popular authors have grown cynical towards the church and have advocated a "Church-less Christianity" that sees organized, institutional church gatherings as a place that kills, or at least greatly hinders one's ability to know God and find true spirituality. "The church is no longer where we run in order to be saved, but, we are told, where we must run from if we are to truly find God" (160). Instead of weekly gatherings in a church building, three people gathered at Starbuck or on a golf course talking about spiritual things is the way to go. Invisible, universal church: In. Visible, local church: Out. What really matters in the minds of a growing consensus of Christians is that God is "bigger" than going to church every Sunday; God is at work in so many other (and equally edifying) ways than sitting in pews or listening to a lecture sermon each week. As we sit in our pews and listen to predictable sermons about things we already know, somewhere in the world somebody or some group of people are starving, dying of AIDS, being oppressed, etc. As true as this may be, it is only a half truth, and it's not a sufficient reason to forsake the institutional church altogether. As much as ditching the church for churchless devotion may seem to liberate and increase one's service to God, it actually lessens and weakens it. But the church does have it's issues. The authors acknowledge that the traditional church is often caught being culturally backwards. They also admit that there is room for change, renovation, and toleration in the minds of traditional church goers on the (non)essentials of what it means to be a faithful church. They take an honest look at church-as-we-know-it and affirm that it is flawed and full of sinners thinking sinfully. This side of heaven, that's how it's supposed to be! Thus, the response to the church's shortcomings is not to bail, but to stick it out and love the church through all it's failures and shortsightedness. It is in this way that the Lord purifies the church and grows individual Christians in character and selflessness. Though one shouldn't excuse the church's sin and negligence due to her unglorified state, one should not expect the church to be perfect. Abandoning the church for it's weaknesses actually lessens inward transformation instead of strengthening it. "In all honesty I can say that in the times I've been hurt by church people or been disheartened, the biggest problems, in the end, proved to be those that came from my own heart. This is not to discount external pressures or difficult situations or the ways in which Christians can hurt each other. Yet even with all these outside factors, my main issue has been [me]. I respond in sinful ways. I feel sorry for myself. I lose faith. I doubt the Word of God. I don't want to forgive. I stop hoping. I get embittered. I grow lazy. I don't stay in step with the Spirit. These are my sins from my heart. Others can make life difficult for me, I can make it unbearable" (84). How is this Book Laid Out? The book is laid out in 8 chapters. Deyoung writes four chapters as does Kluck. Deyoung's chapters address and engage the topic of the church under four categories: The Missiological (ch 1), the Personal (ch 3), the Historical (ch 5), and the Theological (ch 7). Kluck takes a more anectdotal and opinionated approach in his chapters that helpfully serves as an alternative (and more biblically guided) way to critique yet praise the church. His last chapter, in my opinion, was his best and encouraged me tremendously (especially the part where he encourages book-lovers to put away their books and just read only the Bible for a year straight!) --there are tons of outlines and marginal notes in that one! I highly recommend this book to all. It is literally FILLED with insight and wisdom! In my copy, almost every page is filled with underlines and marginal notes like, "Yes! !," and "Excellent," and "Amen!!" The authors are clear, witty, and biblical. They write in a down-to-earth manner, and are pastoral as well as culturally savvy. WWLC is an enjoyable read. The writers are gifted, eloquent, and adorn their insights with penetrating rhetoric. I found myself rarely checking the time or the number of pages left as I sometimes do with other books. Those who advocate "church-less Christianity" certainly have their work cut out for them. As in Why We're Not Emergent, these guys articulate their position in ways that I want to adopt as my own. Go out and getcha one today. "At times, conference speakers can think of themselves as real sacrifical road warriors, out there serviving travel-related issues all for the sake of "The Kingdom." But sometimes . . . we are reality-averse wussies who just want to leave their parenting problems, marital challenges, and church frustrations behind so that we can have people say encouraging and flattering things about our book or speech" (61). "There are conservative churches who wear smallness as a badge of honor. Because they sense the real danger of measuring success by numerical growth, they think tiny churches are a sign of faithfulness and big churches are sellouts. Their pastors at times sound as though they're channeling John Owen, and their engagement with culture consists in explaining how modern-day Armenians differ from theological Arminians. They talk in the cadences of another century and specialize in preaching to the choir. There are churches out there that not only don't grow, they are frankly proud that they don't. The church in America can shrink until it shrivels and dies as far as they are concerned. They are interested in truth not results. There is much I admire about this attitude. It is refreshingly nonfaddish and unconcerned about worldly success. But those who hold this attitude are often blind to the ways in which they make it unnecessarily hare for people to feel at home in their churches. They can be inflexible about the wrong things and unable to see how this unbeliever is not always entirely to blame for disliking the church" (33). "If outsiders are into Jesus, we'd be foolish not to use that as a starting place, but we'er kidding ourselves if we think most nonChristians (or Christians for that matter) have any idea who Jesus really was and the claims he made. . . . But the Jesus they like is almost certainly not the Jesus who calls sinners to repentance, claimed to be the unique Son of God, and died for our sins. He is almost certainly a nice guy, open-minded, spiritually ambiguous, and a good example. He is guru Jesus who resembles Bono in a bathrobe. If the church is the problem, it is likely because the church gives shape and for an an otherwise malleable and hollow Christ" (78). "I like people who are honest with their feelings and open about their struggles. But, godliness demands a lot more that just being real. In fact, godliness demands that we stop acting like we want and start acting like Christ. I sometimes find, especially among my peers, that authenticity is not a self-abasing means of growing in holiness, but a convenient cover for endless introspection, doubt, uncertainty, anger, and wordliness. So that if other Christians seem pure, assured, and happy, we despise them for being inauthentic" (89). "Relationships are indispensable, but not enough. No matter what the teachers of tickling ears say, we do have rules to follow. . . . The church, as the gathering of those who love Jesus, should be pure, holy, loving, and true. . . That's why discipline has traditionally been a mark of the church. Discipline promotes the purity of the church and vindicates the honor of the Lord Jesus Christ. Yet how can there be discipline without a church? How can there be accountability if church is not in any way an institution with standards and dogma, but only a gathering of two or more Christians in the park?" (178). "As evangelicals we've become addicted to "happy ending" stories where we go through "x" (hard thing) and then start praying and then--Shazam!--God makes everything better and we have a nice, utopian story to tell where we are the hero who ends up with the great job, the great family, the time off, the free plane ticket, the lost purse, or the great healthy kids. The fact of the matter is, sometimes (often) the happy ending is in heaven, and the getting there is a really difficult but formative part of our sanctification. And sometimes what God wants in the interim is for us to find our happiness, holiness, and identity in Him, rather than our perfect testimonies" (193). "Sure, a lot of the Christian pop culture stuff is pretty cheesy; it's certainly not gritty or raw. . . . But a lot of the other stuff out there is pretty vile. Maybe church-goers would stop harping on young people to listen to Smile FM around the clock if the cultural hipsters stopped congratulating themselves for liking Eminem and his manufactured authenticity, as if being real about life is an excuse for being perverse. Maybe churchgoers can learn to overlook some strange tatoos and hair configurations if their counterparts will learn that swearing, drinking alcohol, and doing whatever else seems fetchingly rebellious and oh-so-not suburban middle class are not the leading indicators of spiritual maturity. . . . And in our hypertherapeutic culture, we all need to realize that sometimes being in touch with our pain and being real about our doubts and authentic about our struggles is a form of narcissism and self-absorption more than maturity" (220-21). "Don't give up on the church. The New Testament knows nothing of churchless Christianity. The invisible church is for invisible Christians. The visible church is for you and me. . . . Find a good local church, get involved, become a member, stay there for the long haul. Put away thoughts of revolution for a while and join the plodding visionaries. Go to church this Sunday and worship there in spirit and truth, be patient with your leaders, rejoice when the gospel is faithfully proclaimed, bear with those who hurt you, and give people the benefit of the doubt" (226). 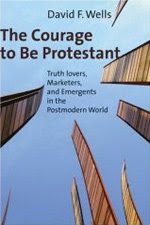 I finished reading David Wells' The Courage to Be Protestant: Truth lovers, Maketers, and Emergents in the Postmodern World. Check out my thoughts on the book at my blog, here. Check out Albert Mohler's interview with David Wells about this book, here. Because I have written elsewhere about this book, I am just going to give you the chapter titles along with some quotes from each. "What results, all too often, beneath all the smiling crowds, the packed auditoria, is a faith so cramped, limited, and minuscule as to be entirely unable to command our life, our energies, or, as a matter of fact, even much of our attention" (14). "Emergents are doctrinal minimalists. . . . By their very posture they are resistant to doctrinal structure that would contain and restrict them. . . . They are not eager to engage (post)modernity critically. Indeed, they are as much submerged beneath it as they are emerging from it. Rather than distancing themselves from their own cultural world because they have been impelled to do so by Christian truth, they are more intent on simply huddling with fellow human sufferers. They may be willing to critique society for its social ills, but they are reserved about making judgements on private behavior such as homosexuality. What is emerging is clearly a rather different attitude about evangelical faith and practice that was seen before. We did however, see these same attitudes in older Protestant liberalism" (17). "The evangelical church, or at least a good slice of it, is nervous, twitchy, and touchy about consumer desire, ready to change in a nanosecond at the slightest hint that tastes and interests have changed. Why? Because consumer appetite reigns. . . . Those who attend churches are now like any other customers you might meet in the mall. Displease them in any way and they will take their business elsewhere. That is the fear that lurks in many a church leader's soul because they know that is how the market place works" (36). "The gospel cannot be a product that the church sells because there are no consumers for it. When we find consumers, we will find that what they are interested in buying, on their own terms, is not the gospel" (53). "So it is in American evangelicalism today. Far too many leaders and churches are out for the quick kill, in instant success, the enviable limelight, the flattering numbers, the bulging auditoria, the numbers to be boasted about--"my church went from ten to ten thousand once I arrived!" --the filled parking lots, the success story all dolled up for the pages of Christianity Today or Leadership. All of this is about the short-term success interest of the pastor(s), not the long-term health of the church. In Christianity, cut-rate products bring a cut-rate future" (92). "A soft, shapeless Christianity ready to adapt to any worldview may enjoy initial success, but it will soon be overtaken and lose its interest" (94). "It is important to remember that culture does not give the church its agenda. All it gives the church is its context. The church's belief and mission come from the Word of God. they do not come from the culture either through attraction to it on in alienation from it. It is not the culture that determines the church's priorities. It is not the (post)modern culture that should be telling it what to think. The principle here is sola Scriptura, not sola cultura" (98). "Quite a few public schools have banned competitive games because they dent the self-esteem of those who do not win" (139). For my Angelo State kinesiology peeps, does this ring a bell of any one kinese prof who hated dodge ball? "Today . . . we are less interested in a potential employee's character than we are in his or her competence. In a complex, highly competitive, technological, bottom-line-driven world, competence trumps character. Character is nice but competence is profitable" (145). "The result of this shift is that today people engage in selling themselves. Personalities are marketable commodities but character is not" (148). "This has carried over into some of our marketing mega churches and more generally into how churches look at their pastors. Especially in mega churches of the seeker-sensitive kind, the pastor is preeminently a personality on the big screen up front, a performer, who seems close to everyone in the church but in fact is quite remote in most cases" (150). "Whatever merit there is in stressing that postmoderns place great premium on images, on imagination, in relationships, on being part of a community, not of these things can substitute for the fact that the church has to proclaim the truth about Christ" (203). "Evangelicalism's inherently para nature asserted itself so that is increasingly became parachurch to the point where the local church, in biblical terms, became increasingly irrelevant. Once these things began to happen, I believe, evangelicalism was on its way to decline" (210). "Evangelicalism has often become an enterprise separate from the life of the church. Indeed, among the marketers the separation is deliberate and visual. The services have been entirely emancipated from anything and everything "churchy." No pews, no crosses, no collections, no hymns, no pulpit, no sermon--nothing that will in any way lead an unbeliever into thinking that he or she has entered a church" (214). "Those in a church are unlike other people in their culture because they are hearing, in their church, a World from outside this world. . . . In the church are those who belong to another world. . . . Churches that want to influence their culture are so often tempted to think that to be effective the must hide their otherworldliness and become slickly this-worldly. . . . Churches that actually do influence the culture--here is the paradox--distance themselves from it in their internal life. The do not offer what can already be had on secular terms in the culture" (224). "However, if the church is going to be truly successful, it must be unlike anything else we find in life. As a result, it will undoubtedly make enemies. It will have enemies, even if they are merely voices in the culture whose intent is to secure ways of life that are antithetical to Christian faith. If the church ever becomes just like anything else we can find in life--as many born-again churches have become--then we can have it without God's truth or grace and without cost. Indeed, we can have it on our own terms" (224). In my endeavor not to burn myself out before the school year actually begins, I try to read a biography or something a bit lighter during the summer. This was a book I picked up a while back and knew it would be great simply because D.A. Carson wrote it. It isn't Carson's typical type of work, intensely academic requiring a dictionary at hand throughout, but it was astonishing. 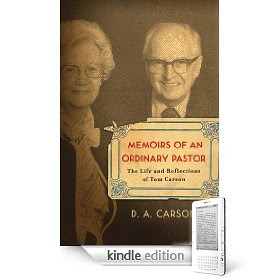 Carson wrote this book about his dad, and it is encouraging because his dad was an ordinary pastor, no doubt about it. It rekindled my zeal for the pastoral ministry, as well as reshaping my understanding of the pastoral ministry. I now long to minister dilligently, making the most of my time for the days are indeed evil. I will mention just two things that stood out to me throughout the book. One was Tom Carson's amazing work ethic and unwillingness to waste any time He would probably look down on reading a book to "ease the mind" as I did when I read about him. His days began anywhere from 6-7 am and ended around midnight, give or take an hour. He disciplined himself to study 4 hours in preparation for his preaching ministry and pray 30 minutes to an hour each morning before lunch. After lunch he would then give himself to visitation and pastoral duties, such as counseling, evangelism, and caring for those in need. At night he would spend time with the kids and family, yet once they were in bed, he would devote himself to reading theology, studying the biblical languages, journaling, or more study for his sermons. He was dilligent and disciplined, something I am not and needed to be exhorted towards.
" I arrived at 7:30... There was half an hour of reverent singing, some of it freshly written hymns and songs. Shortly after 8:00 I began to preach. I finished just before 9:30... I answered questions until 10:00 P.M. Then prayer requests were solicited, and almost all of them had to do with the conversion of people or the spiritual growth of people to whom these believers were bearing witness. We got down on our knees to pray about 10:30 P.M. I was the first to leave, sometime between 12:30 and 1:00 A.M., as I still had some preparation to do for my class at 8:00 A.M. the next morning. The Pastor assured me this was a fairly normal Wednesday evening." I know what you may be thinking, but is there really anything more important than meeting with God's people and engaging in the worship mentioned above? Get this book, read it, be encouraged, and if nothing else, you can finally say you read a book by D. A. Carson that you fully understood! Keep reading, and press on to holiness. Well, this week I finished The Newness of the New Covenant (TNNC) by A. Blake White (aka, "B-Dub"). What is interesting about this book, like last post with Broken Walls, is that I know the author personally--he's okay. I lived with him for a time in college. He was at my wedding and I his. We now sit in class together at The Southern Baptist Theological Seminary, and I have seen his study up close and can testify to his diligence and affirm his competence in writing his first book. Mr. White's book provides a concise, 57-page (20 pages if you remove the footnotes) framework for understanding New Covenant theology by focusing on "the six major divine-human covenants" (3). One of the most important elements of seeing the big picture of the Biblical story is by understanding the function of covenant in the Bible. One's understanding of the nature of God's covenants is one of the primary factors in determining one's overall theological orientation (Presbyterian, Baptist, Dispensational, etc.). He states, "While covenant should not be considered the center of biblical theology, it is an important theological theme that illustrates at least one significant way in which the Bible's numerous and diverse voices unite with beautiful harmony" (4). From that basis, Blake defines the term "covenant" and then moves on to survey the covenant with creation, with Noah, Abraham, Moses, David, and finally the New Covenant. Ultimately, "the NT presents Christ as fulfilling all the promises of God in their initial stage" (27), and, "Christ . . . by his life, death, resurrection, and ascension, ratified the radically new covenant, which all the other covenants anticipated and foreshadowed" (28). Key New Testament texts from the Gospels, Paul, and Hebrews are examined as evidence for the newness of the New Covenant under Jesus' reign. TNNC argues that one's understanding of the New Covenant "has significant implications for the nature of the church," namely, "the new covenant community, by definition, is a believing community" (56). This book is a great intro to New Covenant theology. Every one needs a helpful starting point to understanding complex theological issues. TNNC was that for me. Blake is clear and accessible and does not write in an esoteric way. Though his book is not lengthy, it is full of meaty content that will send you to your Bible for hours of study. I guess if you want anything out of your first book, it's that. On deck, Part II of Broken Walls. I am going to do this post in two parts. I'll get the second one up as soon as I find time. I recently finished Kevin Kirkland's debut book called Broken Walls: And Those Who are Called to Repair Them. Check out the ad for the book here. It was a privilege to read this book for a number of reasons, but one in particular stands at the forefront, namely, I personally know Kevin Kirkland. He and I lived in the same town (San Angelo, TX) for about six years where we would occasionally interact. Thus, to some degree I understand and recognize his passion for the subject he addresses. He loves to pour his life into young people--I have seen this first hand! I have heard Kevin speak a number of times and have watched him love and lead students as a youth minister, through various Sunday-night gatherings, overseas missions, and his traveling evangelistic ministry known as Katalyst (see link above). His love for students comes in second only to his passionate zeal for Jesus. Kevin has spent much time overseas, as the book will reveal, and wants nothing less than to see hordes of people come to know Jesus. So, reading his debut book was interesting. I could literally hear his passionate voice in my head as I read. It was really only a matter of time before he wrote a book. Kevin is filled with things to say, and say he did. So, without further ado, let's look at just that. Simply stated: if we do not take the next generation seriously, we are headed for perilous times. Kevin's heart bursts forth with love, passion, sorrow, and determination for today's and tomorrow's young people--and his zeal is quite compelling. There is no doubt that he is operating under the tremendous weight of how sin is destroying our world and how children across the globe suffer as we sit comfortably in our air-conditioned living rooms watching television and waiting on our next meal. Kevin shouts loudly from the pages of Broken Walls (BW) that we need to repent from our pride and selfishness and let Christ guide us into lives of loving sacrifice and service for our children. This book will strike a deep chord for those who know they should simplify their lives for the sake of others. As the idolatries of American culture are exposed one by one, one's use of money, time, energy, vacation, home, etc., will be challenged in light of Christ's great mission to heal the brokenness of our world. Kevin shares story after story and statistic after statistic that vividly portray the current state of ruin that our children find themselves in. He knows firsthand the death, deception, and misery that millions of children across the world encounter everyday. From holding dying orphans in Kenya to working with passive parents in West Texas, he has come face to face with the physical and spiritual decay that surrounds the next generation. He is deeply broken, and he invites all who read to share his passion for the healing of our youth. 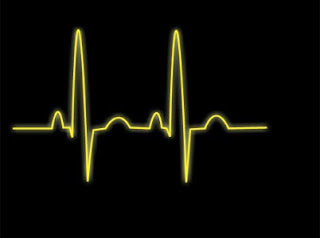 In light of all this, BW is a smooth read and Kevin's heartbeat is accessible to all his readers. He doesn't write as an expert on the matter, but one who is in the trenches wanting to strengthen his fellow soldiers. One can tell that he has spent a lot of time passionately teaching this from group to group. BW will challenge every reader to play his or her part in the task of being a sage for the youth of our day, whether in sending or going or praying. In the intro, Kevin writes, "The steps that Nehemiah follows for the restoration of his nation are the very keys that I believe God has called us to utilize in the rebuilding of that which the enemy has destroyed in our own land" (p. xv). He also entitles a chapter, "You are Nehemiah" (ch. 16). From this point, he parallels Nehemiah's situation with our own in America and proceeds to offer practical guidance for how we are to repair the brokenness around us. Kevin is making a passionate plea for us to mourn, fast, pray, and act on behalf of the young people in our nation--make no mistake, this is a great end in itself! Yet, I think an important question should be raised about the means to this end: Is this a proper use of Nehemiah? Now, before you think that my question is rigid and uncaring, even pharisaical, consider that I am not attacking Kevin personally, nor his content. I am only offering a critique of his interpretative approach and his use of Nehemiah. I affirm that everything he concludes in his book is helpful and biblical, but the way he derives his conclusions may not serve as the best model of interpreting Scripture. Could there be a way to say the exact same things that Kevin does that is just as passionate, yet preserves the redemptive-historical significance of Nehemiah's (and Israel's) situation? Or, are there better interpretive approaches that can reach the same exhortations yet remain consistent with New Covenant promises given to the church? I answer both in the affirmative. Let me explain the significance of my question: If Nehemiah's story is truly a model for us in our situation, then it is hard not to expect the obsolete promises that are also given to Nehemiah (and ultimately Israel) in his redemptive-historical context. Kevin's use of Nehemiah can inadvertantly set people up with false expectations about how God will respond to our "rebuilding" efforts. Ultimately, my question addresses the very heart of this book: Can we realistically expect the walls to be rebuilt? I will answer that next time, but in this section my point is that we can find guidance for our situation that is just as urgent, yet also faithful to the redemptive-historical context of Christians under New Covenant promises. In the end I find his interpretation a bit too allegorical and detatched from it's context. Though everything he says is on point theologically, I think his overall thesis could be strengthened if his material was more grounded in the New Testament. Overall, I have a lot of agreement with Kevin and I think he did a great job on his first book. I will have more to say in due time, along with my thoughts on my favorite chapters. Good job Kevin. Till the next episode. Thoughts? Comments? Suggestions? Well, I know the BB has been in stand-by for a bit. 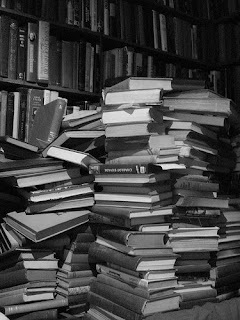 Nevertheless, I frequent this place quite often in hopes that someone besides me has read and reviewed some page-turner. With school and marriage and work and school and marriage, time spent reading, much less writing time-consuming (yet enjoyable) reviews often takes a back seat. Well, my summer is approaching quickly (two weeks from tomorrow), and I have a big stack of books that have been very patiently waiting on me. I have quite a range of reading planned. You can check out the books I plan to read here. Many of them I will immerse myself in, others I will just browse looking for helpful chapters. For now, suffice it to say that I look forward to sharing thoughts and ideas gleaned from the minds of other people. For the first time I will have the privilege to begin to read books written by personal friends and acquaintances--cool. But, it makes me feel the need to get on the ball and write a book. 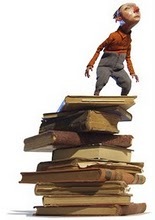 Maybe when I get desperate enough I'll just combine all my book reviews and send them off to Xulon, or not. When Grace Comes Home by Terry L. Johnson is a book that I happened to add to my Amazon wishlist based solely upon the cover and the title. The old idiom "Never judge a book by its cover" does not apply to me, as so often I will purchase a book based solely upon its cover. It turns out that this book is one of those gateway purchases. You know the type: one purchase leads to two more. Terry Johnson has actually written three books about grace, this being the first. The author leads into the main content of the book by giving a brief introduction to the Doctrines of Grace, focusing in particular on the sovereignty of God, the depravity of man, the sovereignty of God's grace, and man's response. I know those are not the "five points" that we often think of when the Doctrines of Grace are mentioned, but they are all essential doctrines that permeate throughout the five points. Mr. Johnson includes this lead in for those who may not be familiar with Calvinism, or the Reformed faith as he so often refers to it, and also to refresh the minds of those who may be more familiar with the Reformed faith. Terry Johnson takes each one of these aspects of a Christian's life and, using Scripture, shows the reader just how the particular aspect is affected (for lack of better word) but the Doctrines of Grace. The reader is shown through Scripture proofs how their lives are touched by the Reformed faith in ways they may not have known before, and each point is elaborated upon with personal applications and historical examples. He also corrects (again, for lack of better word) common misconceptions or beliefs about each subject. Without elaborating on what Mr. Johnson writes about in each chapter, I will instead tell you that the chapter on prayer was especially convicting. Why we pray, how we should pray, and how prayer changes us were all questions that were addressed in the chapter. Using prayers from men and women in the Bible, the reader is shown Biblical examples of how to pray. My eyes were opened to just how fearful (awestruck) we should be of God in prayer, and how we should prostrate ourselves before Him in heartfelt humility when we come to Him in prayer. Daniel's honesty in his prayer in Daniel 9:4-11 was especially convicting. There was no sugar-coating the sins of Israel, nor was there any attempt at justifying the sin. Daniel honestly and humbly confesses the sins in the presence of a just and righteous God. As the book progresses, the author tends to keep referring to the Reformed faith more and more as he expounds on each point. While I understand he is reminding or pointing the reader to what the Reformed faith teaches, it feels as if he is saying that all along the Reformed faith has got it right. While I know this is not his intention, it left me wondering how someone new to the Doctrines of Grace would respond. Would they see the author's intention in pointing out the different beliefs, or would they see him as arrogant and assume those who believe the same would be arrogant as well? I would have much preferred him say something along "The Bible teaches" instead of "The Reformed faith has always believed" and the like. It is nitpicky on my part to point this out, but nonetheless, it was something that I disliked about the book. The way the author breaks out each aspect of the Christian's life and how the Doctrines of Grace profoundly affect those aspects was a refreshing reminder of how we should live and why. Conviction (upon my own heart) was rampant throughout the book as I was constantly reminded of just how lacking my own life is in response to God's grace. A solid read that is well worth the space on any person's bookshelf. This is probably more for myself than any others, but I am taking it upon myself to read more this year. I think I try to convince myself of this every year, but this morning I read something that I pray will keep me motivated. As I was catching up on some blogs, I stumbled upon an article about George W. Bush being a book lover. Intrigued, I read it to find that he is an avid reader, reading many more books that I do! In 2006 he read ninety-five books. In 2007 he read fifty-one. In 2008 he read forty! While his numbers may have declined, I found myself ashamed for not taking the time to read more than I do. I barely make it through one complete book a month, and here the leader of the United States of America is reading an average of over a book a week for the past three years! With all the concerns and tasks and travels that he must surely have to endure, he still finds time to read, and here I am a simple state employee bemoaning the "fact" that I just don't have the time to read. Shame on me. While his books may not be theological or Biblical in nature, it was not as if he was reading easy material. I have stumbled through a Halberstam book, and to see him reading one as part of his list, I realized that I do not have an excuse. The difficult must be read with the simple. The non-fiction with the fiction. The theological with the worldly. So my challenge to myself this year, and to anyone else is to read at least a book every other week. One book every fourteen days. Surely it is possible. And my goal is to read biographies was well as theology. Fiction (a small dose) with non-fiction. The difficult with the not-so-difficult. And a book review with each. It is not enough to merely skim through, but to grasp what the author is trying to convey and share with others. Any suggestions for my reading list? Last week I finished The Shack. I did this because it seemed like everyone, EVERYONE, had read and was talking about it. I know people who read it and loved it and people who threw it across the room. So, I took the plunge to see what I think personally so I can have my own fresh thoughts about it. Ok, is this book fact or fiction? The "Forward" and the "After Words" to the book set the reader up to view this as more than just fiction. Mack is portrayed as a actual friend of William Young who wrote The Shack as the product of their friendship. Though he acknowledges that Mack's memory of the events might be unclear and lead to some inaccuracies, they are real memories nonetheless. The reader is thus encouraged to not take Mack's recollections too seriously, but to "cut him a little slack" (13)--not something you say about a work that is fictitious. Yet, everyone, including those who endorsed the work on the back cover, seem to take this as fiction all the way. In fact, the number one response to all the controversy surrounding The Shack is, "Well, it's just fiction you know" (more on that later). Yet, in the forward and afterword, the author doesn't seem to explain it as fiction. Maybe it's just me. Also, people who like The Shack, when faced with critiques on the book, play one of two cards. First is the, "Well, it's just an allegory," card. Maybe it's just me, again, but my understanding of the definition of "allegory" is one that involves finding a deeper meaning than what is read on the surface. In other words, an allegory would cause Mack to represent something other than Mack (like, the human heart), or the wooden shack as something that stood for something more than just a wooden shack (like, my greatest fears that are unconquered), or Missy's blood-stained dress as something like the cross. With allegory nothing is taken at face value, but there is always a deeper, alternate meaning. So, though there were some occasional allegorical aspects to some of what Mack saw (like his encounter with Sophia), he had a straight-up, real vision of literal things that leave no room for alternate meanings. Pilgrim's Progress, allegory. The Shack, though having occasional allegorical pieces, for the most part it is a literal, real experience that can be taken at face value. I don't know. The second card is the one mentioned above: "Well, you know it's just fiction." (For the record, there is a difference between allegory and fiction.) I think this is the weaker of the two responses. All "fiction" means is that the events didn't happen and the characters are not real, but just because something is fiction doesn't mean the ideas that it communicates don't have an impact or are excused from being evaluated. To put it this way, I wonder how many people who have read The Shack would say the same thing about The DaVinci Code, a book that many skeptics have erroneously used as ammo against the Christian faith. My guess is few. The same could be said of movies. It takes no time to admit that the very heart of much American (anti-Christian) ideology is birthed and nurtured by fictitous stories created by liberal Hollywood. What Christian would finish watching Brokeback Mountain and excuse its message by saying, "Well, it was just fiction?" None. Interestingly, those who play the fiction card will immediately turn around and begin telling you what they learned from the book, saying things like, "It really makes you think about how we've put God in a box." Hmm. It takes only a few seconds of reflection to realize that world history itself has been largely shaped and molded by the ideas communicated in famous plays, books, and movies--fiction has the has the powerful ability to inspire, enamor, and educate. Though The Shack overall might be fiction, the ideas it communicates are not. There is clearly a non-fictional theological system that underlies all that God says to Mack. Yet, those who love the book will be tempted to read it uncritically, praising only the good while scowling at those who point out its legitimate weaknesses. Some might shun me if I include what I liked about The Shack. But, I think there are some legitimate strengths about the book. Namely, the story is gripping. This is a book that you never look to see what page you are on or how far you have left to go. The opening chapters that introduce you to Mack's situation will keep you glued to the pages. Young is a good writer. Though he uses imagery that sometimes gets annoying (like, "delicious joy," 211), he's a good storyteller and knows how to build suspense. Also, I identified with Mack in his suffering. When he goes back to the shack for the first time since his daughter was killed there, he has a response that is moving. Mack is portrayed as a father who has a deep sense of guilt for not protecting his daughter, something that seems to be an easy and realistic mindset of one in his situation. Nevertheless, the book is a page-turner. Unfortunately, it seems to be so good that it has the ability to cause people to think lightly of the questionable message it sends about God's relationship to suffering. Nevertheless, I can see why this book is on the New York Times Bestseller List. There were other things that were good about The Shack. For instance, the book does well at affirming that one can trust a loving God during confusing times of intense hardship and pain. Also, Mack encounters "Sophia," a personification of God's wisdom where he learns not to sit in judgment of how God handles an evil world. Both of these biblical principles are constantly affirmed in The Shack and are worth acknowledging as a legitimate strengths. Also, one can walk away from The Shack with the affirmation that God cares deeply about human suffering and will never turn his back on a hurting, hating, confused, doubting, and angry individual. That's a great thing and it's communicated clearly. There are more things that could be said, but overall I didn't find the book as appalling as some. It was a book with legitimate strengths and weaknesses. Though I wouldn't necessarily recommend a suffering Christian to read The Shack (see below), it was worth reading for the sake of knowing what all the hype is about. Though every book has strengths and weaknesses, there are sometimes certain weaknesses that are of such significance that they eclipse the legitimate strengths that might be present. Unfortunately, I think this is the case with The Shack. Let me explain. My biggest concern with the Shack is it's theodicy (explanation of the problem of evil in relation to God). Mack asks: "But I still don't understand why Missy had to die." "Mack, just because I work incredible good out of unspeakable tragedies doesn't mean I orchestrate the tragedies. Don't ever assume that my using something means I caused it or that I need it to accomplish my purposes. That will only lead you to false notions of me" (185). Now, if I am reading Scripture rightly, Job would disagree. All 10 of Job's children were killed and his response was, "The Lord gave and the Lord has taken away. Blessed be the name of the Lord" (Job 1:21). The author says that Job did not sin by acknowledging this. Also, after Job is covered in boils from head to toe he says, "Shall we indeed accept good from God and not accept adversity?" (2:10). The narrator of the account furthermore reveals that, though Satan was the immediate agent responsible for Job's affliction, God takes credit (2:3). The end of the narrative refers to "all the adversities that the Lord had brought upon [Job]" (42:11). Though God is not evil and does not rejoice when His creatures experience major suffering, He does orchestrate evil and suffering to accomplish His purposes. Contrary to The Shack, the true God is not a cosmic custodian, merely cleaning up evil as it occurs. God did not just "work good" out of the Genesis flood, He caused it to happen. In other places, He is explicitly said to will suffering (1 Pet. 3:17) and grant it (Phil. 1:29). Most of all, God is said to have ordained the most heinous sin the world has ever seen: the murder of His own Son (Acts 2:23; 4:27-28). Yet, God does not do this out of tyrannical cruelty. He does it in wisdom and love, orchestrating all events for the glory of Christ. Unlike "Papa," the God of Scripture would not lift up His (or her) hands in complete denial. See some good quotes on suffering and the sovereignty of God here. The second biggest problem I have with The Shack is that it would just take what I said and affirm that I am "putting God in a box," forcing Him into my preconceived, thus unreliable, seminary influenced notions. Let me explain. Mack is portrayed as a seminary alum (9). So, according to Young, he has a decent knowledge of the Bible and theology. So, was his seminary education helpful to Mack during all this? Not so much. When Mack shockingly meets Papa as an African-American woman, he is taken aback. When he observes her with headphones listening to secular "funk" and sees her dancing and clapping, he is all the more confused. The narrator remarks, "Mack struggled to keep up with her, to make sense of what was happening. None of his old seminary training was helpful in the least" (91). Statements like this are made throughout the book. This casts a shadow on the ability of Scripture to communicate clearly about who God is. The reason I know is because the typical "lesson" that people learn from The Shack is how they have unknowingly put God in a box--the unavoidable implication is that they have done so by letting Scripture determine their view of God. Worrying that Scripture may be a hindrance to your relationship with God will have unfortunate affects to your spiritual walk. I want to be open to what Young is trying to convey. Yes, God can do anything and can't be contained "in a box." Yes, when we see Him face to face we will be in awe in so many unimaginable ways--even realizing we were wrong about some stuff. There is no doubt that many use theological systems to do harm and disfigure the true nature of God. Yet, Jesus' (the biblical Jesus) view is nothing short of full blown confidence in the sufficiency and authority of Scripture. The Jesus of Scripture would encourage us to use the Bible to discern who God is. My fear is that many who read "Papa's" comments will take them as formative to their own spiritual walk, seeing any appeal to Scripture as something that confines and limits God's ability to be God. Here is a list of other things that I consider minor concerns. By "minor concern" I simply mean that these things do not make up the main point of the book. I still take them seriously, but they are not something to expound on at this time. A giggly, rock-skipping, boyish Jesus (168-69) who you can playfully "push aside" (175) and "scowl" at (204). "The problem is that many folks try to grasp some sense of who I am by taking the best version of themselves, projecting that to the nth degree, factoring in all the goodness they can perceive, which often isn't much, and then call that God." Hmmm, I agree, a little too much. Again, I can see what is being said, but I can't help but think that this is the most ironic statement in the entire book. In the end, I don't think I would reach for The Shack to give someone as I look for literature to help them understand God's relation to suffering and evil. No matter how passionate you are about the love of God, it is better for your spiritual growth to believe in a sovereign God who lovingly ordains spectacular evil for the glory of Christ. God's sovereignty does not contradict God's love, it magnifies it. For a more biblical view of God's relation to evil and suffering, there is no better book in my opinion than Jerry Bridges Trusting God. Next to that would be John Piper's Spectacular Sins. For a robust articulation of the glory of the person and being of God, see Piper's The Pleasures of God, or J.I. Packer's Knowing God. So, there you have it. The next Pilgrim's Progress? I think that is a bit of an overstatement by Eugene Peterson (see front cover of the book). My challenge to all who have read and love The Shack is to read Pilgrim's Progress next to see allegory at it's best and most biblical. Thoughts? Comments? Questions? Let me know. But, did I hear someone say Shelfari? Well I have finally finished this book and I can honestly say it was a great read! At first the book is pretty heavy with a lot of scientific and case study talk, but if you can manage to get through all of that to the point that Pollan is making you will learn a lot. On a personal note, this book has changed my view on a lot of things. This may be a lengthy review of the book as I hope to talk about some of the subject matter in depth and more than just typing up a quote or two. I hope that this review will be helpful and will encourage you to think hard about what you eat and maybe pick up a book on the subject and do some learning too! 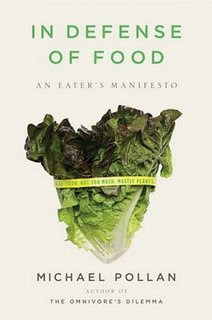 Pollan sets up in the very first pages of the book his reasoning for why such a defense of food is needed. The book is divided up into three main sections each with numerous subsections or chapters within it. The first section unfolds the idea that in the last few decades we have seen an emphasis on the nutrient parts of food over the actual value of the food itself. Vitamins, fiber, saturated fats, etc. The food is no more or no greater than the sum of its nutrient parts. Like I said you have to "weed through" a lot of scientific talk, even some history talk too, to get to the point. In this section he continues to explain how certain laws passed by the FDA have now, as he puts it, thrown the regulatory door wide open to all sorts of processed and fake foods. He gives examples of margarine, low-fat this and fat-free that, bacon bits, etc. The sky is now the limit to what food scientists can come up with. The ultimate problem being what you have to put in that sour cream to make it low-fat. Take the fat out, put the hydrogenated oils and guar gum in! 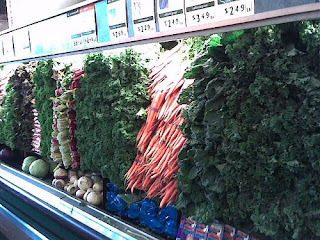 This first section also defends real food by talking about the marketing behind the aisles and aisles of processed foods that you will find in a typical grocery store. Now as a lover of all things carbohydrate and low-fat and fat-free some of these sections were hard for me to swallow. But the truth hurts sometimes, right? Tracing our current obesity epedimic back Pollan points out that as certain fats (as food is simply reduced to its nutrient parts) were deemed as evil, new guidelines were put in place. This section closely examines the western diet. The quote mentioned above is really what he delves into in this section. That the abundant amount of refined carbohydrates in the western diet is by no mistake at its peak the same time that heart disease and other problems linked to obesity are rising. All it takes is a day of people watching at the mall and hearing the statistic that 1 in 3 Americans is obese to realize something must be wrong with our diet! The very first point that Pollan makes in this final section is that we need an escape from the Western diet. This won't be any easy escape, but it's well worth the effort and change that is required. It is in this final section that Pollan explains in more detail the subtitle of the book (Eat Food, Not Too Much, Mostly Plants). This is his prescription for how to fix the problem that he spends the first two-thirds of the book addressing. And under each of these subsections he gives "commandments" on how to do what he is calling you to do. 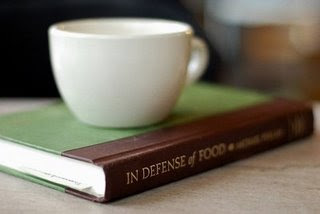 So, that is essentially the main points of In Defense of Food. This book has really changed my thinking on a lot of things and has changed the food that I buy for our house. There is something to be said about stopping and thinking about what you are putting into your body. And then when you do buy the good stuff to put into it, stopping and enjoying the flavor and savoring each bite. Try it...it will really change the way you view food!